I am sure that many of you have heard the phrase “no two snowflakes are alike”. This was actually proven by Wilson “Snowflake” Bentley who was the first to photograph a single snow crystal, or snowflake. He captured over 5000 snowflakes in his lifetime, not finding any two alike! Do you know how snowflakes are formed? Snowflakes form as snow crystals in the clouds when the temperature dips below the freezing point. As the crystal drops through the cloud, it bumps and knocks others becoming a snowflake. The more “bumping” the crystal goes through as well as a little melting and refreezing, the more complex and beautiful the snowflake becomes. People, like snowflakes, are one-of-kind, too. We each have our own individual human fingerprint. Throughout our lives, we experience trials – like “bumps” for the snow crystals – and tribulations – like temperature changes for the snow crystals. These trials and tribulations are constantly melding – not melting – us into a beautiful, complex being and developing our unique gifts and talents. Just think if “Snowflake” Bentley hadn’t shared his passion with us. Nobody placed any value on his photographing snowflakes, but that didn’t stop him. Many of us have conformed into a way of making a living that is practical without satisfying the needs of our hearts. Don’t let practicality get in the way of being unique and enjoying your passions! What is unique about you? Don’t “melt away” like a snowflake . . . leave your record with us today! I had no idea of Horace Traubel was until today; however, I think you will see why he and his quote resonate with me! Horace Traubel lived from 1858 to 1919 and was a working man most of his life. Throughout his life, his passion was writing, and one of his major projects was the “Complete Works of Walt Whitman”. This was a compilation of 10 volumes of detailed notes and discussions throughout their 22 years of friendship and relationship. What is most interesting about Traubel was his view on relationships with others. 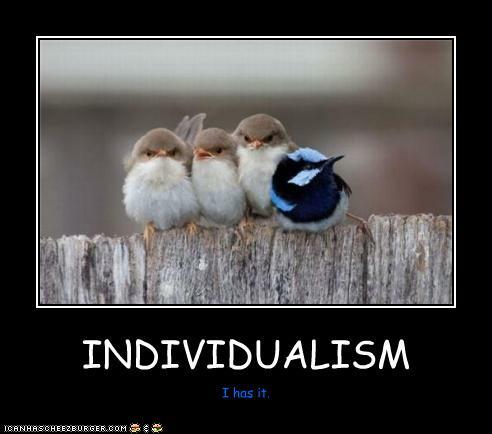 While he was individualistic, he was extremely quick to recognize the contribution of others. He had unbelievable enthusiasm for life which many believe made him incredibly OPTIMISTIC. In interviews, he often stressed how little work he could have accomplished or how little he would be worth without the incredible devotion he had received from several close friends and working associates. Our relationships with others are instrumental in helping each of us grow and prosper. My life lesson to all of you is to please build your relationships on the person and their character not their title, position and what they might do for you. Make your relationships meaningful and make it your business to build fires. As we close another week, I hope your life is “Just Fine” (listen to Mary J Blige’s song attached). Share how you are helping to build fires to make our world a bit warmer and welcoming! Rembering Dr. Martin Luther King, Jr.
“Darkness cannot drive out darkness; only light can do that. Hate cannot drive out hate; only love can do that. “ ~Martin Luther King, Jr.
It’s pretty amazing to study the meaning of your name. Did your parents instinctively know that your name would help define you? Or did they want you to live up to the meaning of your name? No matter the reason, I love my name and can truly say that I am a “blessed voyager”! Throughout my life’s “blessed voyage”, I have had the opportunity to travel and meet a lot of people. I have always been drawn to positive, upbeat, optimistic people who are generally more fun and pleasant to be around. Researchers have found that optimistic people are more successful, happier and healthier. My goal, personally and professionally, is to share a positive, helpful attitude and help others focus on potential and find that missing puzzle-piece. By listening and observing, I see unique characteristics, desires and sometimes quirky traits in people. While realizing that all of us have shortcomings, I try not to dwell upon them. I believe that focusing on strengths and potential and sharing our accomplishments is powerful and contagious! So with that, my first “BEA POSITIVE”. Sometimes just an encouraging word is all you need to help you move out of your comfort zone and chase a dream. Thank you Andre and Gerhardt for your encouragement and advice and spurring my idea into reality. I hope these words will impact you POSITIVELY. Share your “BEA POSITIVE” moment with others and let’s create a POSITIVE CONTAGION!